You’d rush home to show your mom & dad that wonderful piece of paper verifying that you indeed “saw things through.” They’d give you a hug; reward you with a snack and display that formal document in a place of prominence… right on the refrigerator door. Well, now that we’re grown up and capable of fixing our own snacks, we certainly don’t need certificates any more, do we? 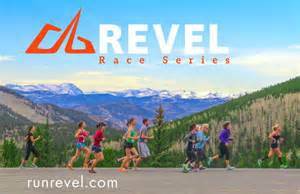 Most races allow you the option to print out a certificate of participation featuring your name and chip time… suitable for framing. Sure it’s a little silly, but it’s also cool to see your accomplishment immortalized on a printable PDF format. Besides, if you put your finisher’s medal in a shadow box, the certificate makes for a good background. And there’s something about holding that piece of paper in my hand (should you deem it worthy of actually printing) that still makes my inner 10-year-old smile. Now if you’ll excuse me, I need to go make room on my fridge. 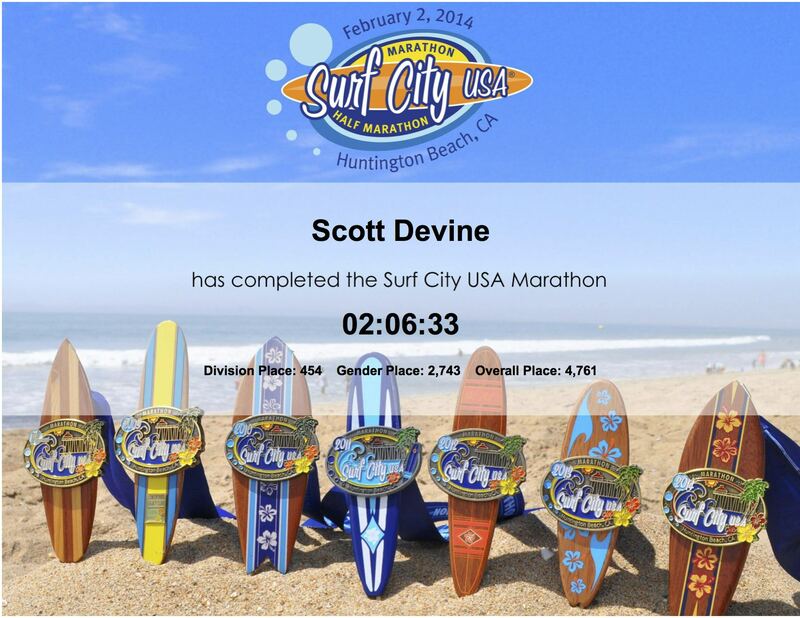 Posted on February 11, 2014, in General, Humor, Motivation and tagged Certificate of Participation, Surf City Marathon. Bookmark the permalink. 2 Comments. They’re all sitting in folders in my computer (along with the “proofs” I grab of race photos I don’t want to pay for). I do proudly display my medals (aka race bling) and have one of those specially made hangers. But I do love good race shirts. A few races, Malibu half, Hot Chocolate runs have decided to give out other types of bling (towel, hot chocolate mug).